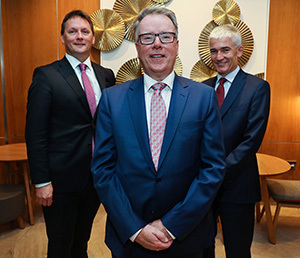 Mount Juliet Estate has been awarded a five-star rating by Fáilte Ireland across its two properties, the 32-bedroom Manor House and newly-opened, 93-bedroom Hunter’s Yard hotel. Mount Juliet has a Michelin-starred restaurant, the Lady Helen, a championship golf course designed by Jack Nicklaus and activities such as fishing, falconry and equestrian centre. An 18th century walled estate overlooks the River Nore, gusts can sit for Afternoon Tea in the Manor House with views of Ballylinch Stud or a pre-dinner drink by the fire in the Major’s Bar. Executive Chef Ken Harker and Head Chef John Kelly’s contemporary fine dining restaurant, the Lady Helen, has retained its Michelin Star for 5 years in a row while The Hound in Hunter’s Yard, awarded a Michelin Plate, offers an informal dining experience. 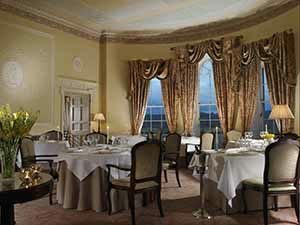 Ireland’s updated list of 42 five star hotels accredited by Fáilte Ireland and TourismNI is: Adare Manor, Aghadoe Heights Killarney, Ashford Castle Cong, Ballyfin Demesne Laois, Castlemartyr Cork, Cliff House Ardmore, Conrad Dublin, Dromoland Castle, Druids Glen Wicklow, Dunloe Killarney, Dylan Dublin, Europe Killarney, Fitzwilliam Belfast, Fitzwilliam Dublin, Fota Island Cork, G Galway, Glenlo Abbey Galway, Hayfield Manor Cork, Heritage Killenard, Holyrood Co Down, Hotel Dunloe Castle, Inter Continental Dublin, K Club Straffan, Killarney Park, Lough Erne Fermanagh, Lough Eske Castle, Lyrath Estate Kilkenny, Marker Dublin, Merchant Belfast, Merrion Dublin, Monart Destination Spa Wexford, Mount Juliet Kilkenny, Muckross Park Killarney, Park Kenmare, Powerscourt Wcklow, Radisson Blu St Helens Dublin, Savoy Limerick, Sheen Falls Lodge Kenmare, Shelbourne Dublin, Westbury Dublin, Westin Dublin, Trump Resort Dunbeg.